My rating: 8.5/10. Minimalist watch. Affordable simplistic timepiece. 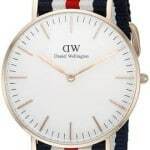 Hello, today I’m doing a Daniel Wellington DW00100139 review. 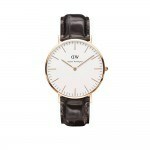 If you like minimalist timepieces then most watches from Daniel Wellington are likely to be right up your street. I’m a big fan of their designs and overall style. Today’s timepiece is the DW Sheffield which is classed as a unisex watch due to its 36mm casing diameter. I hope you enjoy this Daniel Wellington DW00100139 review below. As I’ve already mentioned, I’m a big fan of this minimalist dial design, as are a lot of other people with it quickly becoming the go to watch. This black and rose gold finish is very stylish with the detailing on the slim watch hands and hour markers. The casing itself is made of stainless steel with a rose gold PVD plating. The Sheffield features a mineral crystal glass. This type of glass is specially hardened to make it extra resistant to scratches and knocks. Overall this is a pretty good glass that you find in many watches in this price range so I’m quite happy with this. At the heart of the watch is a reliable Japanese quartz movement. Quartz movements are commonly used as they’re both accurate and reliable requiring very little maintenance. A big hit for this watch is its ultra slim design. The casing is just 6mm thick giving it a really low profile that a lot of people like. The casing diameter measures 36mm so it’s suitable as either a large women’s watch or small men’s watch. The strap is made of a comfortable soft genuine leather and fastens with a buckle style clasp with matching rose gold PVD detailing. It measures about 20mm across which fits in quite nicely with the rest of the watch sizing. 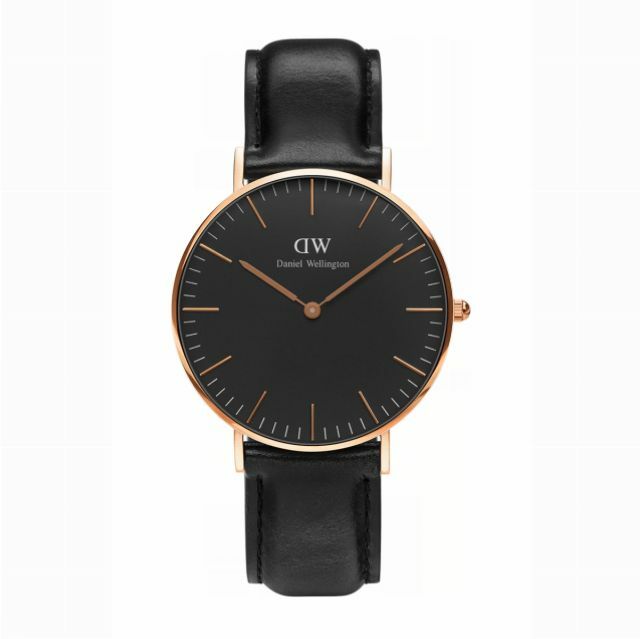 The watch from Daniel Wellington has a fairly basic 30m water resistance rating. This 30m or 3 bar rating makes the watch suitable for everyday use. Splash/rain resistant. Not suitable for showering, bathing, swimming, snorkelling, water related work and fishing. Band Genuine leather strap, standard length, 20mm width. Case Stainless steel casing, sizing diameter: 36mm and thickness: 6mm. Overall I’m quite a fan of DW watches. 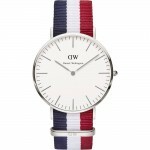 This Sheffield Daniel Wellington watch is very affordable and suitable as a unisex timepiece. It’s very stylish with that popular minimalist design that so many people are after. So when you put together the design and pricing it’s easy to see why this watch has been so popular. Hope you enjoyed this DW DW00100139 review. Find more watch reviews below.